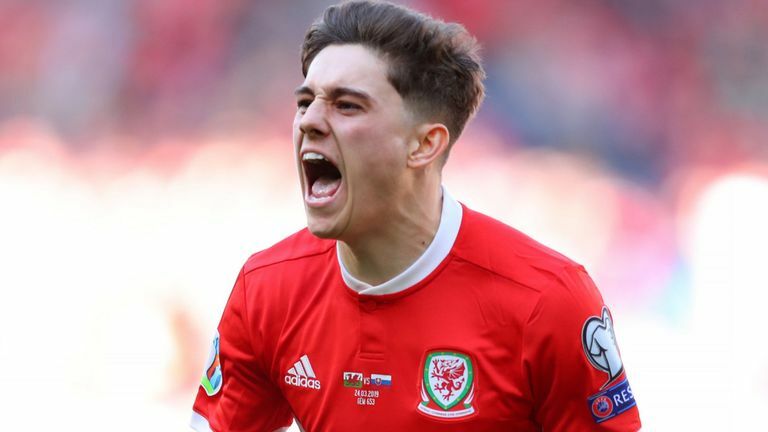 Daniel James' early strike gave Wales a 1-0 win over Slovakia in their opening European Qualifier at the Cardiff City Stadium on Sunday. James got the hosts off to a dream start with a thunderous fifth-minute effort, the Swansea winger's first goal for his country on his first competitive start. And that was enough to give Ryan Giggs's youthful and energetic side a vital victory with which to kick off their Euro 2020 qualifying campaign, with Wales now sitting second in Group E, level on points with both Croatia and Slovakia. 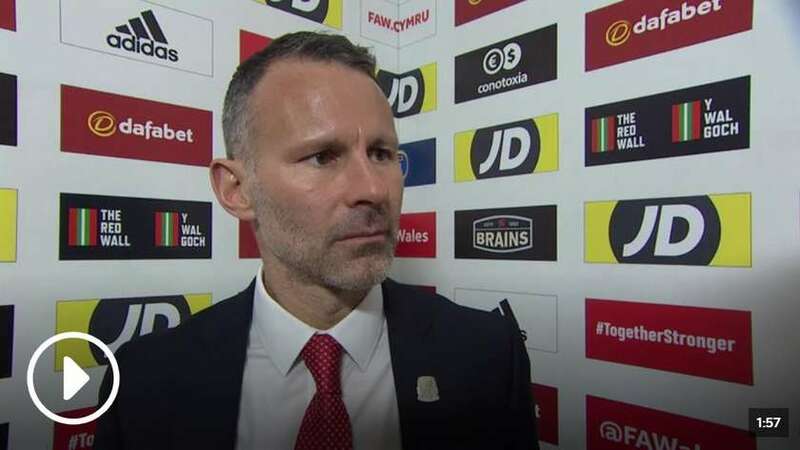 There had been some raised eyebrows when Ryan Giggs named his relatively inexperienced starting lineup, but there were no questions asked when Wales opened the scoring after just five minutes. Harry Wilson's clever flick released David Brooks down the right and despite the Bournemouth winger failing to find his intended target, Slovakia's defence gifted possession straight back to their opponents. James, though, still had a lot of work to do to find the net from the edge of the area. However, the 21-year-old displayed impressive technique to fire a low drive into the bottom left-hand corner of the net to bring the roof of the Cardiff City Stadium. The home team dominated proceedings in the first 45 minutes in the sun-drenched Welsh capital, but worryingly, they only had the one goal to show for their efforts. And the longer the second period wore on, the more the visitors came into proceedings, forcing an increasingly busy Wayne Hennessey into action, and none more so than nine minutes after the interval. Gareth Bale captained Wales as veteran skipper Ashley Williams dropped to the bench as Ryan Giggs made 11 changes from Wednesday's 1-0 friendly victory over Trinidad & Tobago. And Anderlecht defender James Lawrence and Swansea winger Daniel James both made first competitive starts. Meanwhile, Slovakia were unchanged after beating Hungary 2-0 in their opening qualifier on Thursday, with former Napoli midfielder Marek Hamsik wearing the captain's armband and Newcastle's Martin Dubravka in goal. However, the Crystal Palace goalkeeper did well to race off his line and make a vital block to prevent Albert Rusnak from levelling matters, while he also showed impressive reflexes to keep out Michal Duris's close-range header eight minutes from time. David Hancko should have tucked home the rebound, only to miss his kick with the goal at his mercy, although an equaliser would have been harsh on Wales given their efforts in the game. "It's not easy," he told Sky Sports. "I had to play it down beforehand when all the other teams have got points on the board and you do feel the pressure, and you feel that you've got to get off to a good start and win and that's what we got," Giggs told Sky Sports. "I am proud in the performances and at the end, just digging in and keeping that clean sheet." James's early strike, Wales' earliest goal in a competitive fixture since Ryan Giggs scored after three minutes against San Marino in March 2007, gave the hosts the perfect start to proceedings in the Welsh capital. The Swans wide man drove a well-struck shot right into the corner of the net to cap off a dream first competitive appearance for his country. And the pacy 21-year-old remained a constant thorn in Slovakia's side all afternoon long with his penetrative runs down the left as the visitors struggled to lay a glove on the youngster.